The Japanese firm is set to acquire a majority stake in Camlin Ltd in a Rs. 360 crore deal. 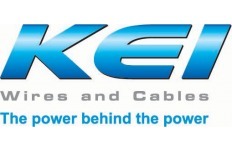 In the process the company will acquire 20% from the minority shareholders at a price of Rs. 110, which is approximately 36% premium to the existing market price of Camlin. The stock is currently trading at a price of around Rs. 80. NHPC has reported consolidated FY11 net profit at Rs 2,316 crore versus Rs 2,175 crore reported in FY10. Its consolidated net sales were down at Rs 4,965 crore versus Rs 5,048 crore. At the CMP of Rs. 24.80 the stock is available at a PE multiple of 13.2. The current market cap of the company is Rs. 30,500 crores. 52 week high/low for the stock is 34.40 / 22.25. NHPC Ltd came out with an IPO in August 2009 at a price of Rs. 36. The stock has been consistently below its IPO price since its listing. But the underperformance would soon be over as lot of capacity will come on stream in next 2 years and the company would show good growth in both revenue and profits. Reliance Infrastructure has reported FY-11 consolidated PAT at Rs 1,552 crore versus Rs 1,519 crore in FY-10. The consolidated revenues reproted in FY 11 were at Rs 15,408 crore. At CMP of Rs. 557 the company commands a market cap of Rs. 14,900 crores and is available at a PE multiple of 9.6, which is on the lower side both on absolute and relative terms. 52 week High / low for the stock is 1224 / 492. 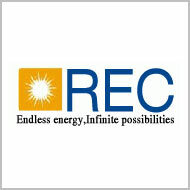 Motilal Oswal is bullish on Rural Electrification Corporation (REC) and has recommended buy rating on the stock with a target of Rs 310 in its May 25, 2011 research report. CMP of REC as on 27th May 2011 is 202.35. 52 Week H/L for the stock is 414 / 191. It is currently trading at a PBV multiple of 1.26 based on FY12 Book Value of Rs. 160. The market Cap of the company is Rs. 19,971 crores. Yes we are talking about Britannia Industries. The company has posted good growth of 30.19% in its consolidated net profit for the year ended March 31, 2011 at Rs 134.34 crore against 103.18 crores in FY10. The company's net sales for the 12 months ended March 31, 2011 increased 22.05% at Rs 4,605.16 crore as against Rs 3,772.91 crore in 2009-10. The board has recommended a dividend of Rs. 6.50 per share. Tata Motors FY-11 results surpassed all expectation when they reported three folds rise in its consolidated net profit to Rs. 9,273.62 crores over previous year. Consolidated total income increased 33% YoY to Rs. 1,23,133 crores. The company's British subsidiary Jaguar Land Rover reported a net revenue of 9.9 billion pound and profit after tax of 1.04 billion pound. The company sold around 11 million vehicles globally which include the sales of JLR. The stock positively reacted to the result and closed 2.5% higher in todays trade. At the current market price of Rs. 1161 the company commands a market capitalization of Rs. 73,500 crores. Based on consolidated EPS the stock trades at a PE multiple of approximately 8 times. Goldman Sachs has raised its 12-month price target for Tata Steel to Rs 774 from Rs 761 and maintained its "buy" rating on the stock following better-than-expected quarterly earnings. Tata Steel, the world's No.7 steelmaker, net profit after taxes jumped about 72% to Rs 4,178 crore ($937 million) in its fourth quarter. Market correction has brought many A group stocks to 52 Week low. The botttom up investors can selectively start looking at some of the quality names as they have come down to year low levels. Below is the list of A group stocks which hit new 52 week low as on 25th May 2011. Voltas witnessed sharp upmove of more than 6% on 20th May with very high volumes of approximately 3.9 million shares that changed hands on BSE and NSE together. On the derivatives side the voltas futures saw cut in open interest of 18% which clearly suggests the short covering in the counter. Voltas has been on steady downtrend since Nov 2010 and has fallen from the level of Rs.260 to Rs.162 in matter of 6 months. Technically the stock has taken support at Rs. 150 - Rs. 152 range and has bounced back twice from such levels in the past 3 months. InvestorZclub believes that because of huge shorts that got piled up in the counter during this month the traders with short positions might rush for cover before expiry and hence the stock might rise a little bit more from the current levels. Short term Traders can buy the stock at current levels of Rs 162 for a target of Rs 170 in 3 to 4 trading sessions, keeping a strict stop loss at Rs. 159. 3G sbscription in India has shown good growth since its launch. Around 9 million consumers have already taken a 3G mobile connection since the services were launched in the country four months ago. Bharti Airtel cornered most with 3 million subscribers followed by Tata DoCoMo with 1.5 million users. Idea Cellular, Vodafone and BSNL have over a million 3G customers each. Reliance Communications did not give out its numbers but sources said that it also has close to a million 3G connections. Telecom operators in India are targeting around 100 million 3G connections by 2015. The Dow Theory says that the market has three simultaneous movements. 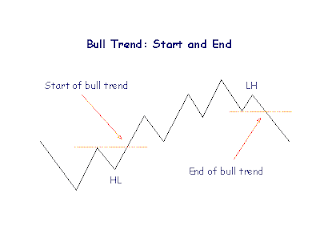 - Technical analysis is the study of stock price behavior by analyzing its chart. 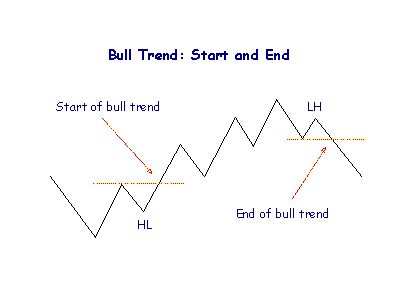 - Technical analysis is done to uncover trends in stock and the Markets in general. LinkedIn Corp.'s initial public offering on Wednesday night was priced at $45 per share, at the high end of the company's initial target. The company raised $353 million in an IPO that valued it at $4.3 billion. That's the largest valuation for a U.S. Internet company since Google went public in 2004. LinkedIn's stock more than doubled in its market debut on Thursday because of huge investor demand for the first major U.S. social networking company to go public, valuaing it at a market cap of more than $9 billion. Over the past 12 months, LinkedIn has made about 7 cents per share. At $100 investors are paying more than thousand times its last year earning per share, which resembles the days of tech bubble of 2000. LinkedIn made $94 million in the first quarter of 2011, and its net income was $15.4 million in 2010. Thursday’s IPO made LinkedIn chief executive Reid Hoffman a billionare. His personal stake is now valued at $1.6 billion. Jet Airways posted a consolidated net loss of Rs 86 crore, a vast improvement over Rs 420 crore loss posted a year ago. Total income of the company increased 20.34% to Rs 14,726.98 crore for the quarter under review from Rs 12,238.06 crore. Airline stocks in India has been severly underperforming because of rising crude prices. Tough environemnt since past 3 years has made Indian airline companies much more efficient and competitive. Bigger companies such as Jet Airways, Indigo and Kingfisher Airlines have been constantly increasing their revenues and market share. If crude prices come down Jet Airways might give phenomenal return from the current levels as the stock price of the company has fallen substantially from their recent peaks and has been trading at significant discount to its asset/intrinsic value. Jet Airways Total no of fleets in Operation is 97 while orders for additional 41 fleets have already been placed. Contra investors hunt for good quality stocks during unfavourable times. The above list might be helpful for such investors. 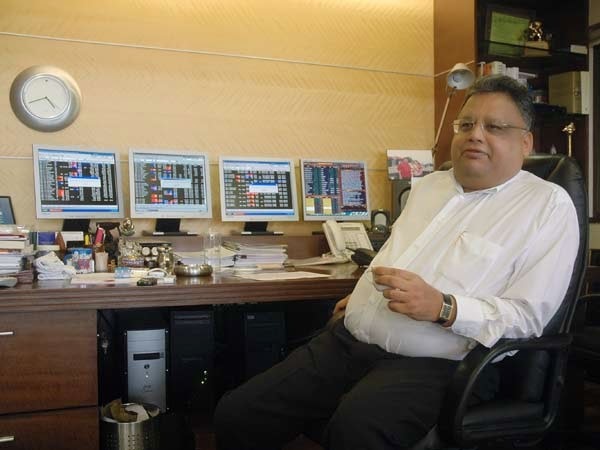 Rakesh Jhunjhunwala, the billionaire investor of dalal street shares his stock picking strategy in the following exclusive interview. He is often dubbed as India's Warren Buffet but he consider himself more like George Soros who is equally sharp at both Investing and Trading. Though he has large investment in some companies like Titan & Lupin, he is believed to have accumulated most of the cash from stock trading which is used for buying good quality companies for very long term. Some of the stocks in his portfolio are as high as 20 years old and has delivered some 5000+ percent returns. 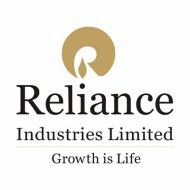 Reliance Industries stock has corrected significantly in the past few trading sessions and the risk reward ratio has become favourable for fresh investing in the stock. The Refining and petrochemical business segments of the company is doing very well. The underperformance on its exploration business is expected to get better soon, thanks to the recent deal with British Petroleum. Also the lower gas production from KG basin is expected to get better in next one year which will be a big sentiment booster for the stock. Goldman Sachs upgraded JSW Steel to 'buy' from 'neutral' as the recent price correction in the stock has improved its risk-reward ratio. The investment bank kept the price target unchanged at 1,343 rupees. The stock has corrected 20 percent since November, Goldman Sachs said the stock is trading at a discount to its peers on both earnings and book-based multiples. The company will be in the best position to capitalize on a recovery in steel pricing, the investment bank added. CMP of JSW Steel as on 17th May was 920. The target price set by the investment bank suggest a return of around 46% from the current levels. SBI reports dismal Q4 results on account of higher provisioning. Fourth Quarter profit is down almost 99% to Rs 21 Crore vs the expectation of Rs 2963 crores, on higher provisioning. The Bank has made a provision of Rs 4157 crore versus Rs 2349 crore a year ago. Following the worse-than-expected results, shares of SBI plunged more than 7% to Rs 2,416 on the NSE. ONGC stock came under severe pressure on the rumors of increased subsidy burden that the company might have to share because of large underrecoveries of oil refining companies. Upstream oil companies like ONGC, OIL India might have to share 38.5% of the total subsidy burden of approx Rs. 78,000 crores for FY-11. ONGC is down more than 5% today and is majorly responsible for the weak markets today. If government finalizes this decision then the FPO of ONGC will also be affected. 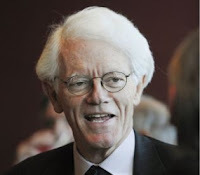 Peter Lynch, the world most successful fund manager has shared his thought and style of investing in his book ONE UP ON WALL STREET which became one of the best selling books of all time on investing and sold millions of copies all over the world. Following are some of the key thoughts extracted from his book. JSW Steel has come out with its FY11 numbers and the company has registered net sales of Rs 23,900 crore versus Rs 18,957 crore. Net profit of the company during the period stands at Rs 1754 crore versus Rs 1597 crore. The current market price of the company is Rs. 926 and is trading at a PE multiple of 11.80. 52 week High/low for the stock is 1400 / 752. Three year return from the stock as on 16th May 2011 is -3%. Suzlon Energy reported profits in the fourth quarter of FY-11 giving some hopes to the investors that the worst for the company is probably over. For the three months ended March 31, Suzlon posted a consolidated net profit of Rs 431.59 crore as compared to a net loss of Rs 188.47 crore in the corresponding period last year. On yearly basis, its net loss increased to Rs 1,103.43 crore in FY 11 from the previous financial year’s Rs 982.56 crore. Suzlon Energy is targeting to increase its total revenue by around 44% to Rs. 26,000 crores, and EBIT of around Rs. 2000 crores. 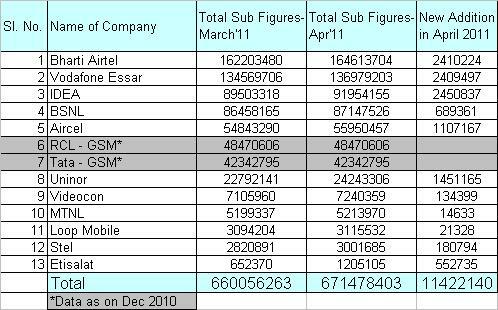 Mobile Number Poratbility in India did not had huge impact on the fortunes of the Telecom Companies but some players faired well while some performed badly. Following are the gainers and losers of the MNP game till April 2011. # Vodafone is the biggest MNP gainer with a net gain of 5,13,259 consumers. # Idea was third with a net gain of 4,70,986. Note: The data as per GSM body Cellular Operators Association of India (COAI) data, as of April 28. High Dividend Yield Stocks in India as on May 2011. The list comprises of stocks yielding close to 5% or more. Steep hike in Petrol prices, to the extent of more than Rs 5 per litre, is definitely going to impact the auto sector growth going forward. The four wheeler segment is expected to feel the maximum brunt in terms of volume growth. Higher interest cost and rising raw material prices have already been playing spoil sport on the growth and profitability of auto companies and now this steep hike in petrol price has added salt to the wounds of the auto sector. Stocks of Maruti Suzuki & Tata motors are expected to be under lot of pressure when the markets open on Monday. Fresh investment in this sector should be avoided at this point of time. Power Finance Corporation fixed the price for its follow-on public offer at Rs 203 per share, at the upper end of the price band , raising about Rs 4,650 crore through the issue.The retail investors and employees are given a discount of 5 per cent. The follow-on public offer (FPO) of the public sector firm was oversubscribed by 4.32 times. The navratna public sector undertaking received bids for 99.12 crore shares as against 22.96 crore shares on offer. Earlier, the price band for the offer had been fixed at Rs 193-203 per share. The FPO began on May 10. The offer comprised issue of about 172,165,005 fresh equity and sale of around 57,388,335 shares by the government, which has 89 per cent stake in the company.The company plans to use the proceeds to mainly boost its capital base. NIIT Technologies, an IT solutions company, reported a 34.9% increase in its consolidated revenue for the year-ended March 2011 over that of the previous year at Rs 1,232.3 crore.The net profit of the company increased by 44.2% to Rs 182.2 crore. The company has declared Rs 7.5 per equity share as dividend. The management is confident of improving margins on the back of its non-linear initiatives. NIIT Technologies is among the few midcap IT companies, which has shown tremendous consistency in their earnings performance in the last few quarters. It has shown a 9.4 per cent compounded quarterly growth rate (CQGR) in revenues and a 7.2 per cent CQGR in net profit. At the current market price of Rs 194 the stock is trading at a PE multiple of just 6.3. The dividend yield at current market price works out to approximately 4% which is far more than the average dividend yield of other IT companies. Considering the improved business outlook, lower valuation, high yield and several non-linear initiatives taken by the company, we think that NIIT technologies can be bought on declines with a 1 year target return of at least 50% from the current levels.